2-DVD set. Includes the English subtitled film, the original Spanish version, and an interview with the director. This DVD-R is manufactured on demand and is expected to play back in DVD-Video "play only" devices. A compelling and involving doc about a topic you've likely never even considered, the LGBT community in Cuba, Free Havana tells the story of six gay and lesbian individuals whose honest stories tell a pretty remarkable story of what it has been like for them to grow up gay in a land where it was once a punishable crime to be gay but now there's a growing movement towards freedom. In 2006, a shorter version of this film became the first documentary of its kind to receive a screening at Havana's International Festival of New Latin Cinema, a screening considered a milestone for LGBT cinema in Cuba and for the LGBT community. Filmed on a paltry $5,000 budget, Free Havana feels like a low-budget doc but that's an approach that works well considering the still underground topic and the incredibly moving stories that unfold in the film. The film covers from the Batista era to the Revolution to the Mariel Boatlift to present-day Cuba, and just how familiar these stories feel may just surprise you. 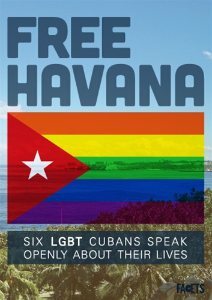 Free Havana has been picked up by the fine folks at Facets Home Video for a DVD on Demand release, and for those interested in LGBT issues this should be considered a "must see." The film is available for $19.95 through the Facets website with a 2-disc set that includes the English dubbed edition and the Spanish language film (that for my money flows better and has more of an impact). 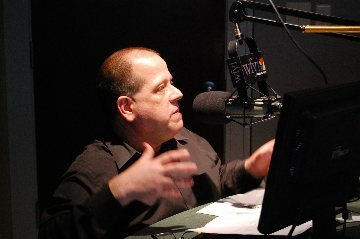 The film also has educational rights/options available.